Advanced, clinically proven, metered dose inhaler (MDI) aerosol delivery system increases proportion of active drugs to lungs. Compatible with all MDI's. 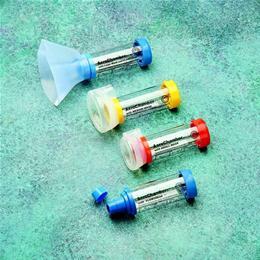 AeroChamberÂ® with mask helps the user overcome any coordination problems associated with MDI use. With Adult Mask.